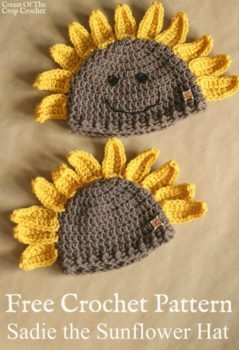 Sadie the Sunflower Hat is a cute little hat for babies and children. 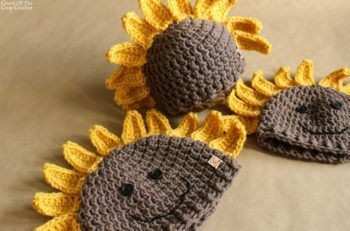 When I was thinking of a country style, one of the first things that came to mind was a sunflower so of course, I had to make one. Y’all get your yarn and hook ready for some yarn fun! *These are our finished measurements. If yours don’t fit within this measurement, please check your gauge. With CB yarn and a yarn needle, start hand stitching the petals to the side of the hat just above the ribbing. Continue petals all the way around, and end just above the ribbing on the opposite side. Weave all ends in. The face is definitely optional. With CC yarn, a yarn needle, 2 small black buttons, tapestry needle and black tapestry thread. 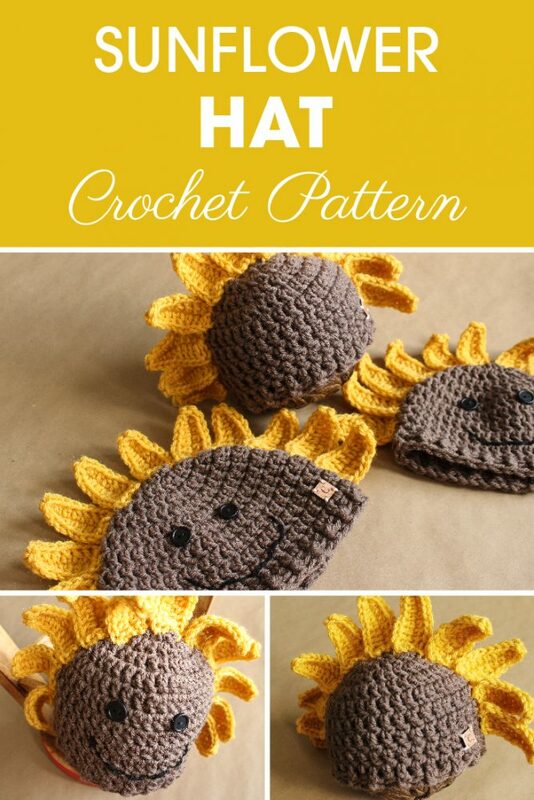 Towards the center of the hat, attach the 2 small black buttons with back tapestry thread and a tapestry needle. 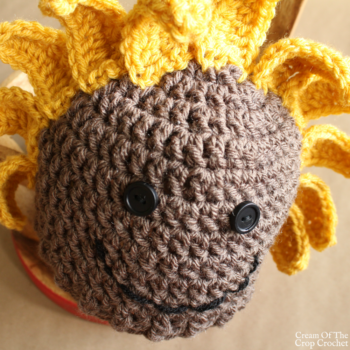 Then move onto the smile, with CC yarn and a yarn needle, begin stitching the smile under the eye you just attached. When finished, tie both ends together and weave ends if you wish.